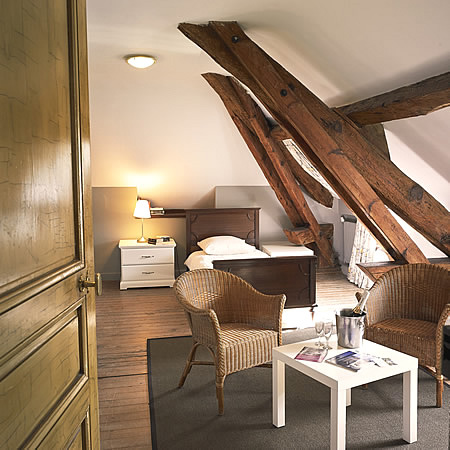 All suites combine old-world charm with modern amenities. No two rooms are alike and they all have their own character. Château Coulon Laurensac is a private residence and not a hotel and therefore does not offer hotel service like room service, 24/7 reception etc. What you can expect is a warm welcome, kind hospitality and a personal touch. 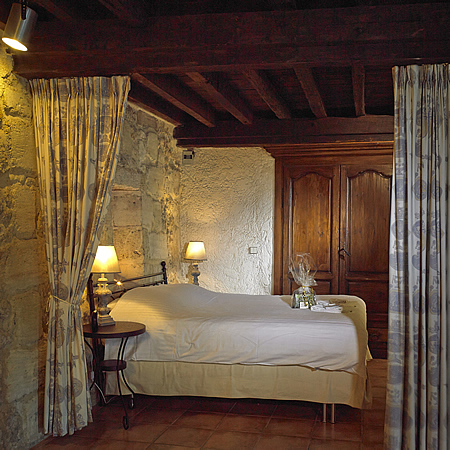 The suites are situated next to the château in the former ‘chai à barriques’, where the wine used to age in oak casks. 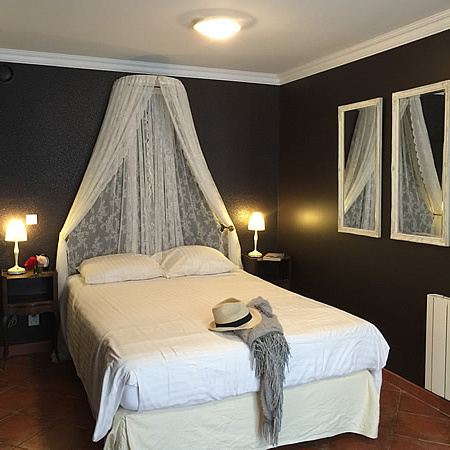 The rooms are completely renovated and redecorated to welcome you with all the modern comfort. Of course the traditional qualities of the building have been respected. 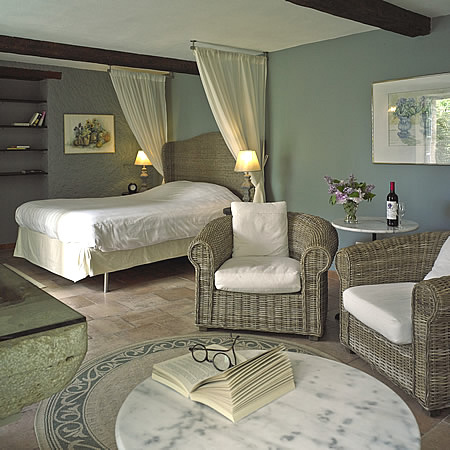 The chateau offers three suites, three junior suites and one single room. No two rooms are alike and they all have their own charm. All bedrooms are air-conditioned, spacious, and have king size beds (double or twin) and include private, en-suite bathrooms most with jacuzzi baths and toilets. Your beds will be made with duvets and crisp well-ironed 100% Egyptian cotton sheets. 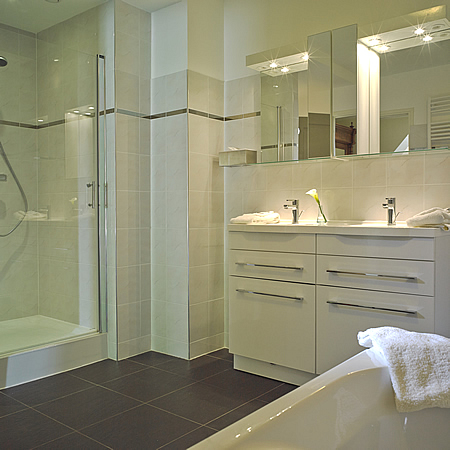 In your bathroom you will find a hair dryer and nice fluffy towels that will be changed daily on request. Housekeeping will clean your room on a daily basis. Each suite has a fridge, tea and coffee facilities, complementary WIFI Internet access and of course a TV with satellite reception and a DVD player with a selection of DVD’s. A stereo set with radio completes the technical equipment of your accommodation. Complimentary beverages and snack items are replenished daily. 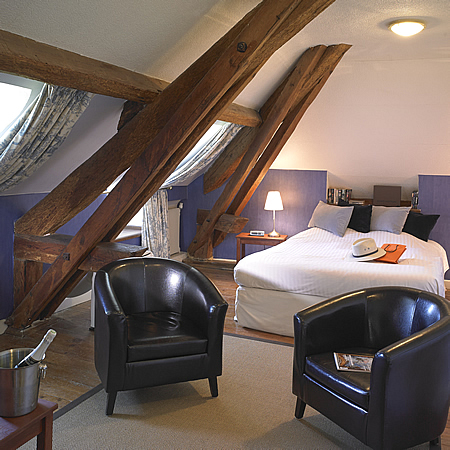 The rooms at Chateau Coulon Laurensac are situated next to the Château in the former barrel hall, where the wine used to age in oak casks. 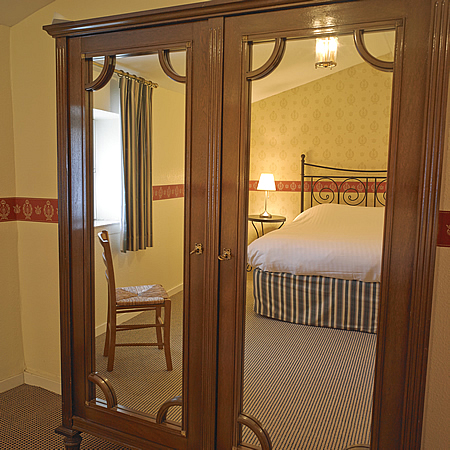 All rooms provide comfort, lovely views and private entrances. Of course they all have their own terraces with garden furniture. 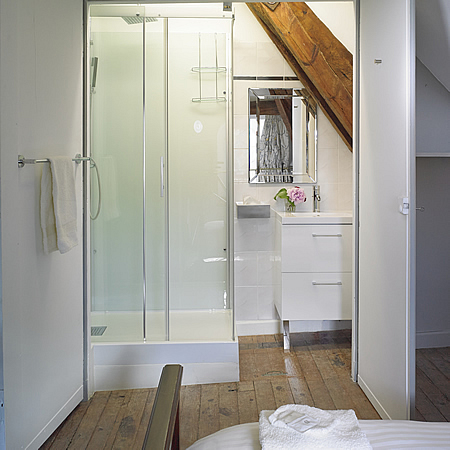 There is a central laundry room with a washing machine and a tumble-dryer you can use at no extra charge. 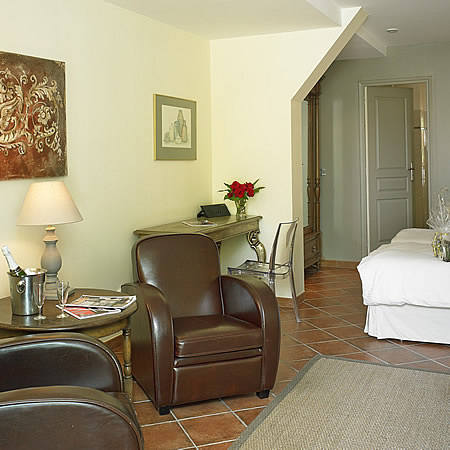 The junior suite Haut Médoc (35m2, 377 square feet) offers the thrill of being in the Chateau itself. Haut Médoc is on the second (walk up) floor in the Chateau. Haut Medoc impresses with its original beams and the beautiful wooden flooring. Double bed (box spring, 1.60 x 2.00m) [5.5 feet by 6.6 feet]. 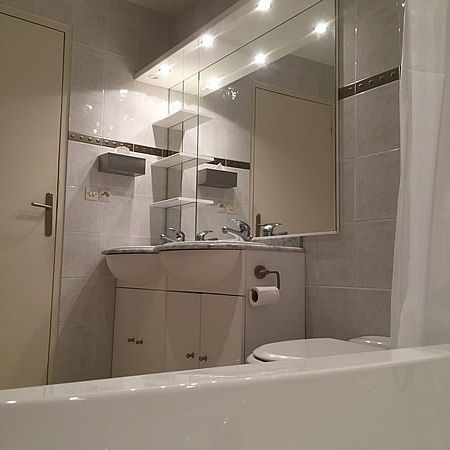 Haut Médoc has it’s own private en-suite bathroom with a shower, washbasin and a toilet. 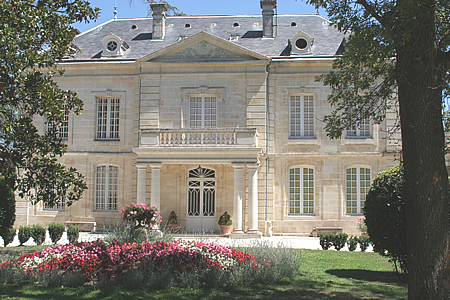 Sauternes (50 m2, 538 square feet) has its own stylish look and offers comfort and an elegant atmosphere. The air-conditioned bedroom offers a double bed box spring, 1.40m by 2.10m) [4.6 feet by 6.9 feet] as well as a single bed, suitable for double or twin occupancy. (Ground floor; independent access). 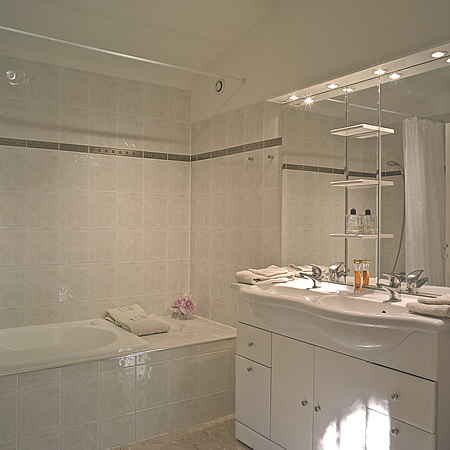 Of course Sauternes is equipped with a private, en-suite bathroom with two washbasins, a jacuzzi bath and toilet. The single room Saint Emilion (35m2, 377 square feet) is on the second (walk up) floor in the Chateau itself. Saint Emilion impresses with its original beams and the beautiful wooden flooring. 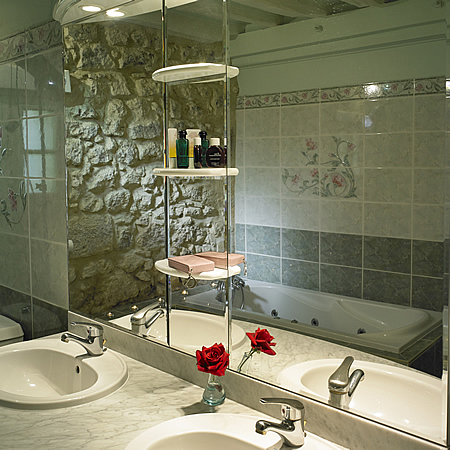 Saint Emilion has it’s own private toilet and en-suite bathroom with a shower and a washbasin.